So here goes my very first cheese making adventure! My heat doesn’t work so well, so maintaining a steady temperature when it’s only 10deg or so outside is proving to be quite a challenge. For that reason I decided to begin with the most basic farmers soft cheese, just for practice in heating/cooling, and using cheese starter and rennet. Next time I can try something a little more challenging, once the logistics of each stage have been worked out! 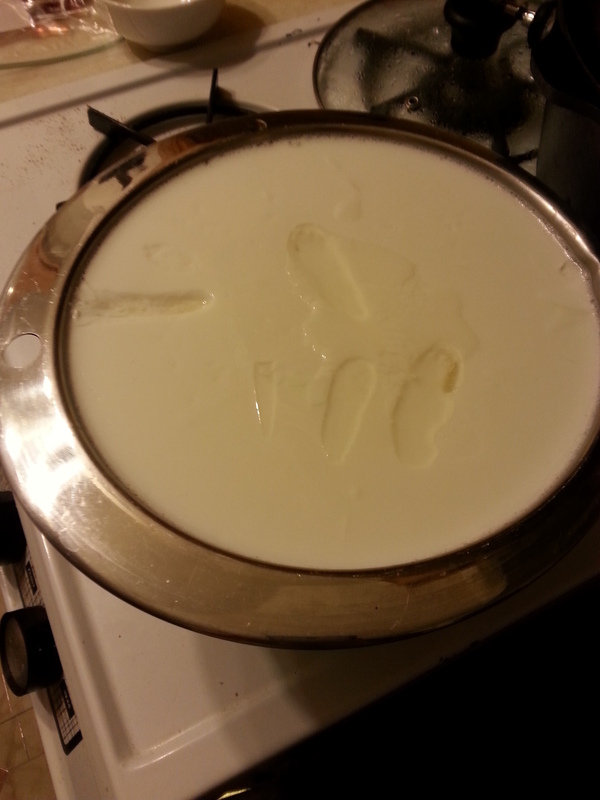 The curd set up nicely; milk, mesophilic cheese culture, and rennet, left to sit for 8hours or so. 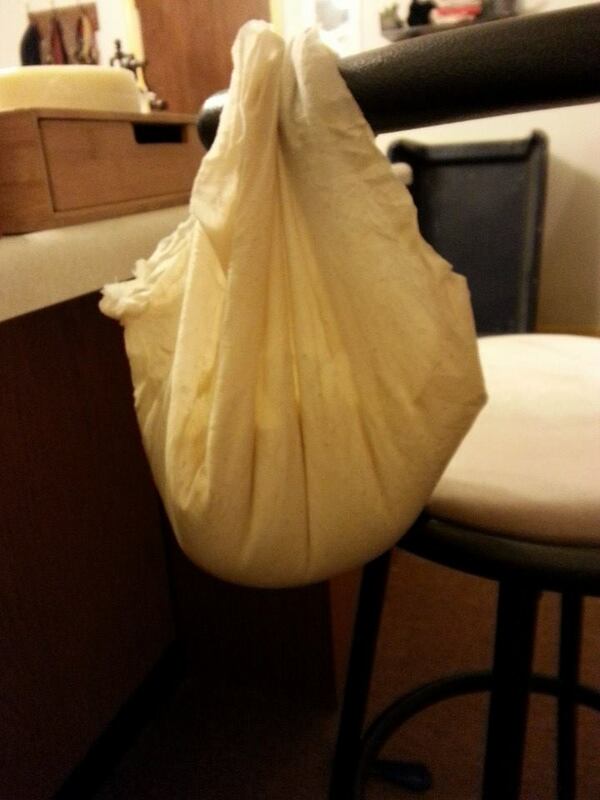 Then I realized that my apartment has no where to hang a muslin bag from in order to slowly drain the curds! So a little improvisation was in order. My bowl and muslin squares were a tad small, so it was divided in two. To keep nosy pets away, the fireplace screen. They sit staring at it, entranced by the slowly dripping bags. By the next morning, the curd is the consistency of cream-cheese, with a delicious, slightly sweet flavour. Now it’s time to add some salt and herbs – dried basil, this time. 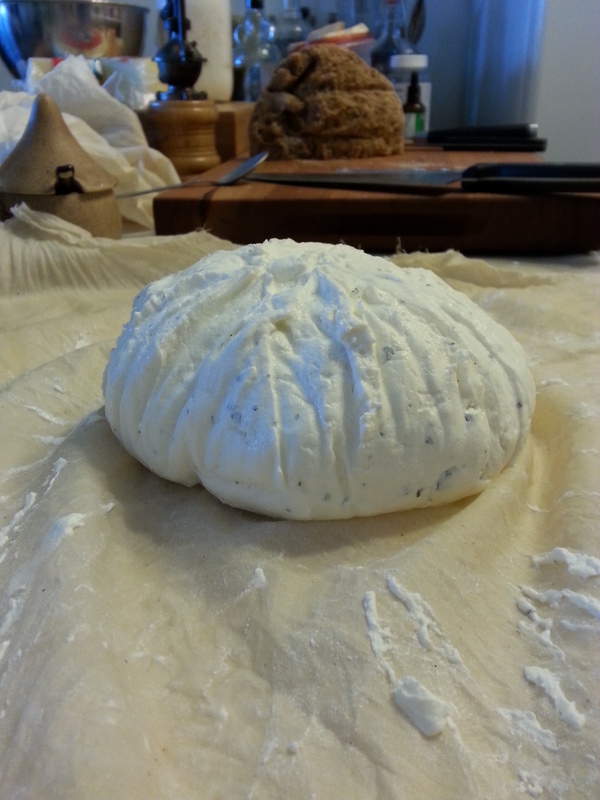 Gently knead it into a desirable form, and there you go, cheese! Soft, spreadable, delectable cheese. Meanwhile, furniture is being sold, notice has been placed at work, and St Croix is only a month away! Here in Baltimore it is still snowing and my apartment struggles to stay above 58deg, making that remaining month seem like an age. Yet pass it will, this long, cold month, and I shall find myself rejoicing in the balmy 85deg of March in St Croix! 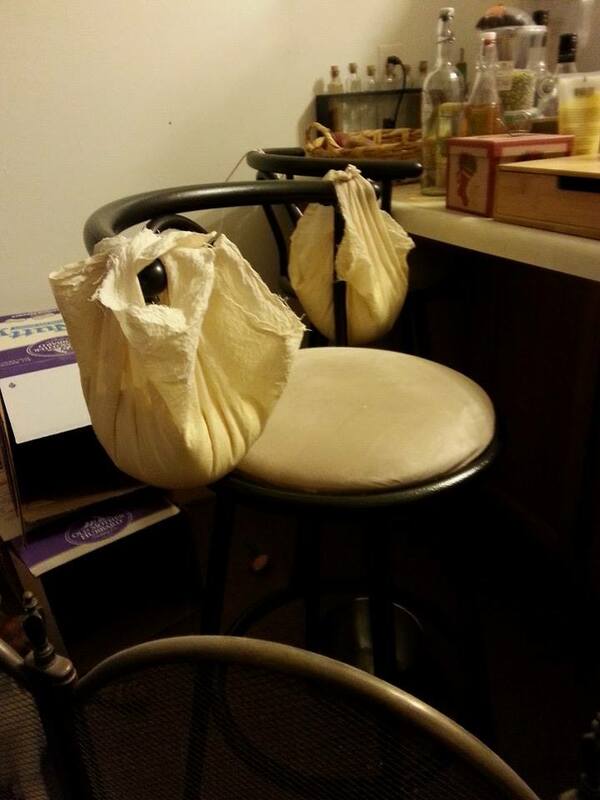 Have I inspired you to try making some delicious cheese? Have you tried simpler cheese (i.e. cottage cheese/paneer)? I’m not inclined to invest in rennet and cheese culture, but it looks like fun. 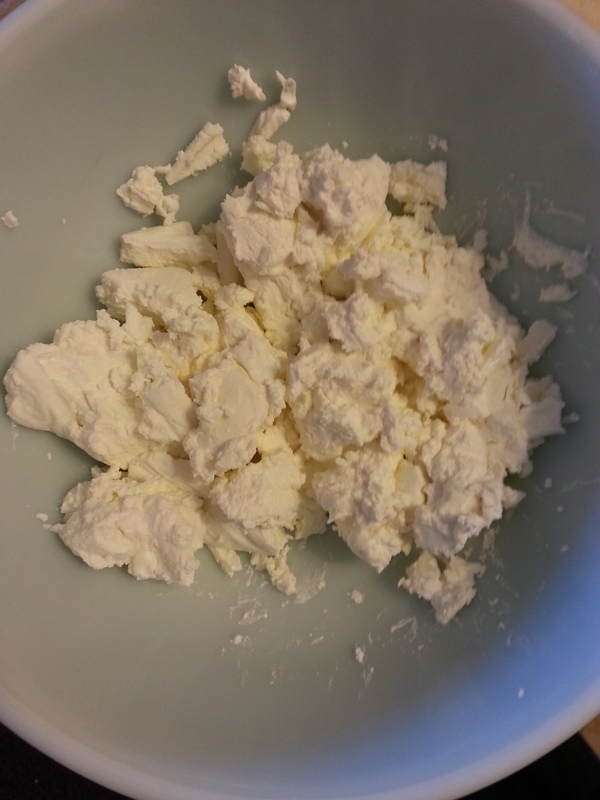 I have made kefir cheese and yoghurt cheese, which just require straining the initial product. They give a much lower yield, unsatisfactory (grainy) texture, and have a greater tendency to mould than real cheeses. If you have a brew supply store nearby (I’m sure you do) a tiny bottle of rennet is only about $2 (a batch of cheese takes 1-3 drops), and cheese starters (mesophilic and thermophilic) come frozen in little packets like yeast, about 20c/packet. It’s absolutely worth it for the flavour and texture! Make sure you don’t buy ultra-pasturized milk, it doesn’t work as the proteins have been compromised. Bring some extra rennet with you…. 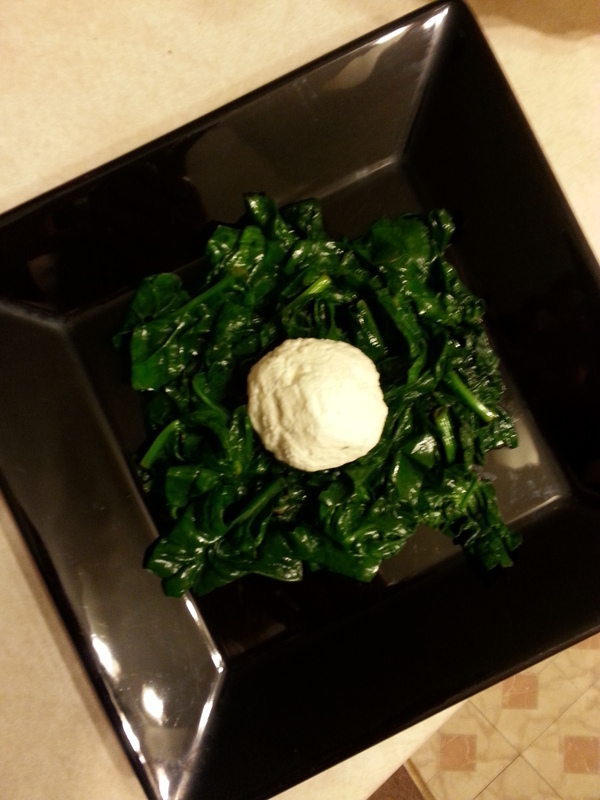 i’ve been making ricotta cheese, but would love to make some mouzzarella…. wish i had my own cow… or goat to milk….I’m not saving any money making my own cheese, just having fun!!! Your blog makes me very hungry. Everything looks amazing!